The NEW Camouflage 'Alpine' Trousers by are designed to compliment their coat counterpart, CN962. 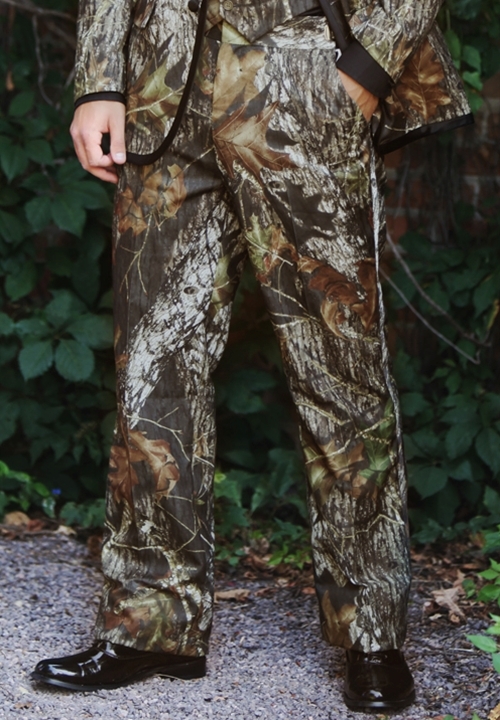 These flat front trousers feature the same Mossy Oak Break-Up pattern that the coat features along with a fashionable satin side stripe, adjustable waist, and fashioned from Polyester. These Camouflage trousers won't help you blend in, but they will make you the talk of the party!